In 2015 the construction industry in Metro Vancouver produced approximately 218 000 tonnes of waste wood. This waste stream included 29% untreated dimensional lumber, 25% composite wood products, and 14% shredded wood (note 1). HiLo Lab is actively investigating the use of wood-waste in additive fabrication. Our work is concentrated in three main areas; materials research (what is being printed), tool capabilities (custom printing solutions) and the development of design processes that can leverage theses new materials and tool sets. A variable form of 3D printing will allow us to more efficiently create architectural assemblies through the deposition of fibrous materials. The ability to 3D print wood material could have significant benefits. Converting wood breakage, sawdust and wood chips, and off-cuts into a printable medium would allow us to divert large material waste streams away from landfills. It also has the potential to expand markets for the timber industry in BC and beyond. HiLo Lab and UBC SALA are specifically interested in developing tools and techniques for designers. We aim to develop processes that leverage these new material opportunities and establish design processes and architectural typologies for these new materials. 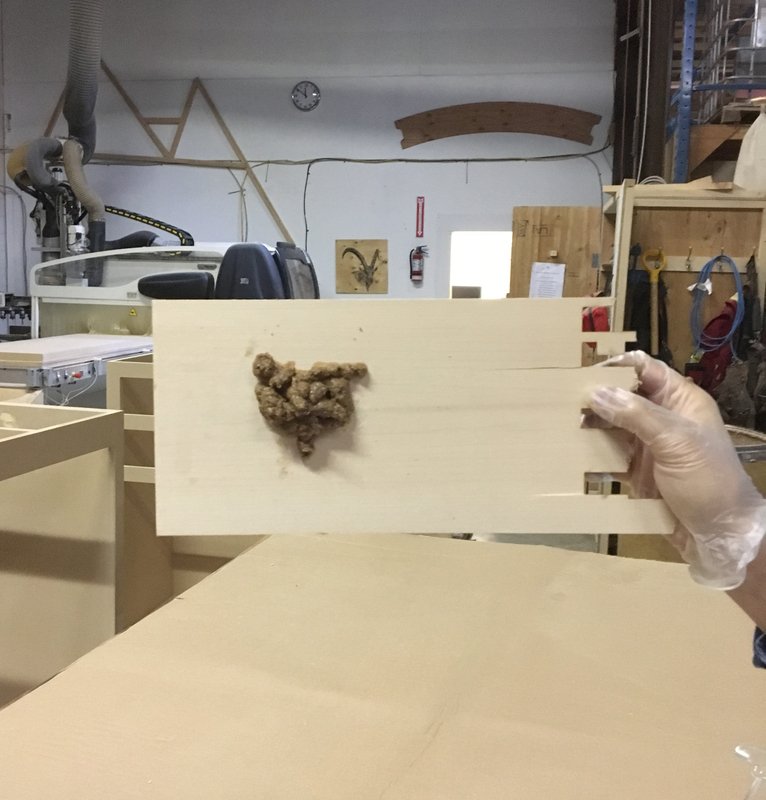 We are currently working with an additive mixture of materials composed of roughly 80% wood waste and a powered Urea-formaldehyde adhesive. We have printed simple extrusions to test the material. Once printed, the extruded forms are placed in a makeshift autoclave to cure for 1.5 hours at a temperature of 85 degrees Celsius. The result is a hard finished product. 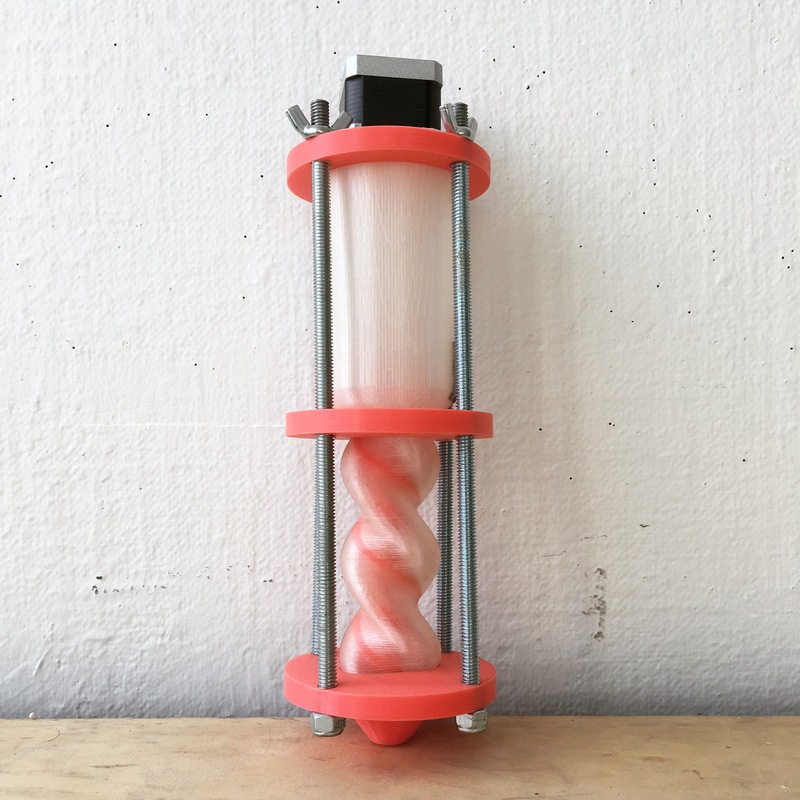 The current extrusion system is a custom 3D printed (in house) progressive cavity pump that is driven by a NEMA 17 stepper motor. The pump facilitates the movement of materials, without compaction or significant water loss. Specific dimensional prints are achieved through the use of custom printed extrusion nozzles. 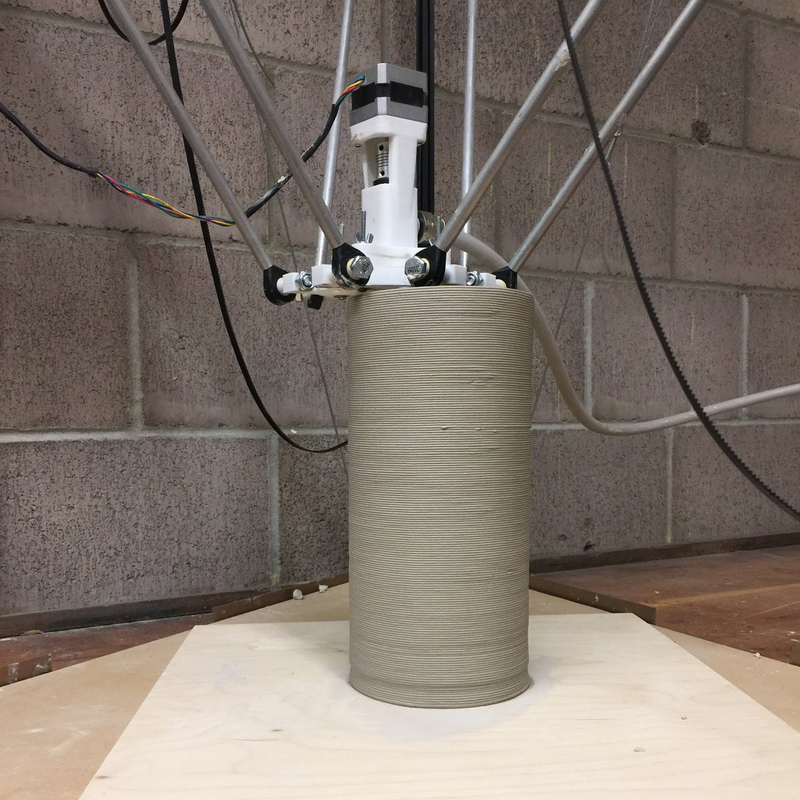 The second printing system, a custom built delta-style 3D printer, has been modified to print clay and other paste materials. 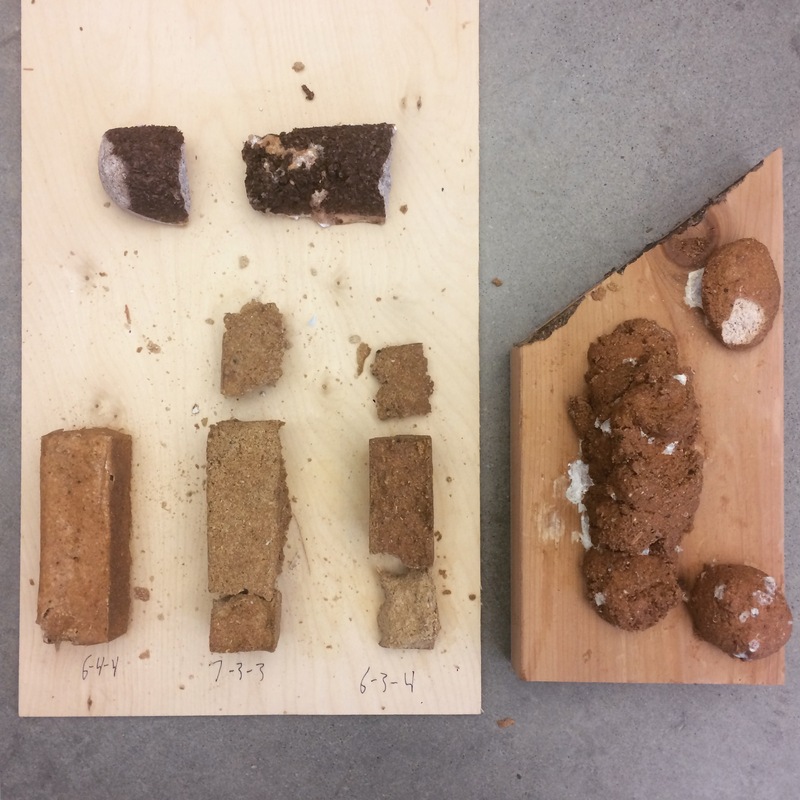 Fig 1: A range of mixes were produced, compacted into rectangular forms and allowed to dry. These samples were tested for strength, ability to maintain shape, and viscosity. Fig 2: The printed material retains its shape in its ‘wet’ form. It has the ability to cling to both itself and the material its being printed on. These are important characteristics for large 3D printers. Fig 3: We designed and printed a Monieau pump to move material to the print head. Driven by a NEMA 17 stepper motor, the part is easily swapped, allows the printer to push material without water separation, and can be fitted with custom nozzles. Fig 4: The delta 3D-printer in operation. Here it is printing a clay column.